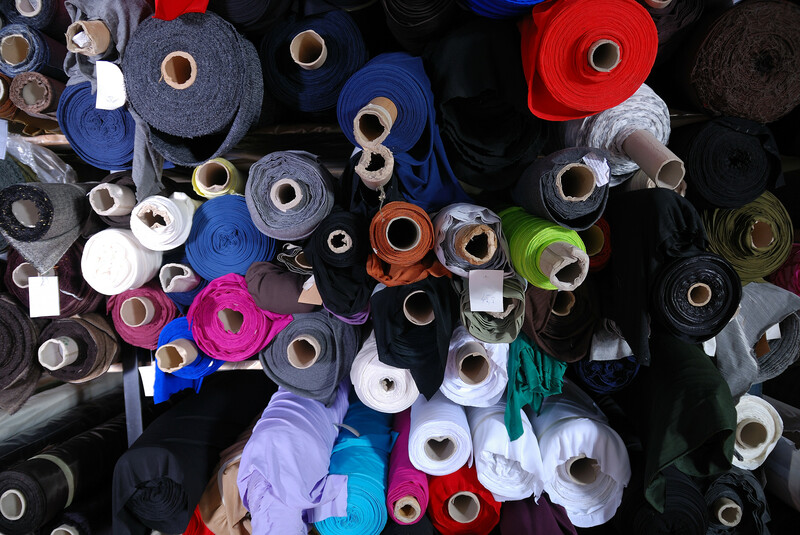 HeiQ ChemTex is ready to work with you to create a Chitosan-based solution to odor control on textiles and surfaces. Adding antimicrobial protection to your product will give consumers a compelling benefit. However, if simply including some antimicrobial additive in your process was a solution, everyone would do it. What do I have to do to comply with EPA regulations? What claims can I make? Will the additive make changes to my product chemistry? Will a given use be effective? Will it be durable? Generally Bac-Shield Concentrate can be used with systems that are cationic or non-ionic. Under certain circumstances, with the aid of a compatibilizer, Bac-Shield Concentrate can be made to work with an anionic system. Water hardness does not change the effectiveness of Bac-Shield. Having treated an article with chlorine bleach or hydrogen peroxide does not change the effectiveness of Bac-Shield. View the Bac-Shield Technical Bulletin for a brief description of the manufacturing application of Bac-Shield. In a manufacturing environment, Bac-Shield Concentrate can be handled with the same procedures used to handle any non-hazardous chemical. Bac-Shield contains no ammonia, butyl or heavy metals. Bac-Shield’s shelf life has been shown to be greater than two years. Refer to Bac-Shield MSDS for specific instructions on handling Bac-Shield. The MSDS is also available in French. Bac-Shield’s active ingredient is Chitosan, a derivative of discarded snow crab shells, an abundant, renewable resource with a long history of use. Chitosan is classified as Category III on the EPA’s toxicity scale–a mild eye irritant in its concentrated liquid form. If you get some in your eyes, rinse them thoroughly with water. Refer to EPA-HQ-OPP-2007-0566-0019 for complete statements regarding toxicity of Chitin and Chitosan for humans and animals and the effects of both on the environment. 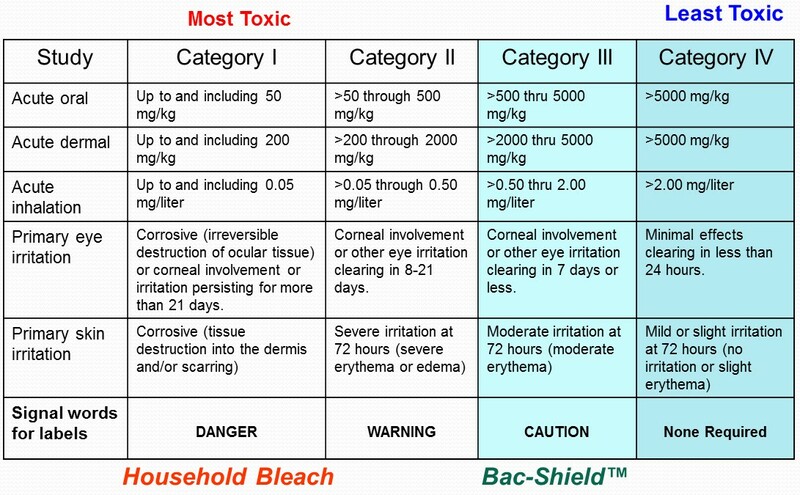 Compare Bac-Shield at category III to products based on ammonium chloride, which are category II. Bac-Shield’s active ingredient is Chitosan, the second most abundant naturally occuring compound, after cellulose. Like most industrial Chitosan, the Chitosan in Bac-Shield is derived from the Chitin in waste crab shells–an abundant renewable resource with a long history of use. Crab shells are collected from the crabbing industry of the North Atlantic and Alaska. Between 2,000 and 3,000 metric tons of crab shell waste is produced annually. About 1% of this is used to produce Chitosan. Shells are sent to Asia in shipping containers that might otherwise have had to return to Asia empty. Raw shells are processed to remove calcium and protein. The principal by-products of this process are animal feed, fertilizer and “salt water”. The end product, Chitosan, is biodegradable. View Bac-Shield for Chemists for a detailed explanation of how Chitosan is produced and how it works. Unlike the chemistry of some other antimicrobials, Bac-Shield’s Chitosan-based chemistry poses negligible downstream issues. The effects of Chitin and Chitosan have been reviewed by the US Environmental Protection Agency. 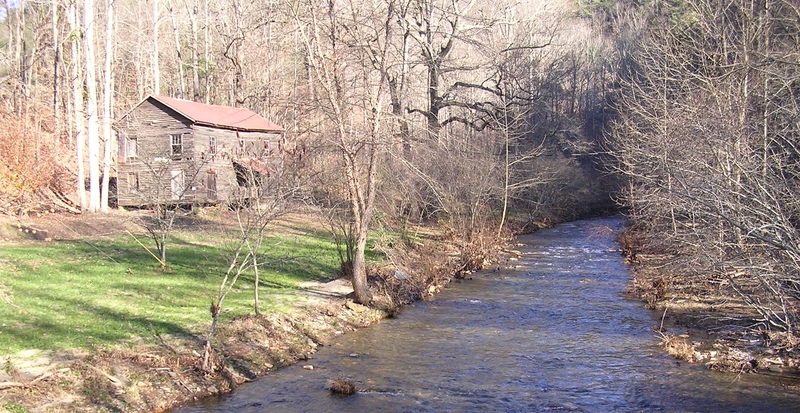 Refer to the public document EPA-HQ-OPP-2007-0566-0019 for complete statements. The US Environmental Protection Agency has strict rules regarding claims that can be made for antimicrobials. No matter where your goods are made, if you use an antimicrobial to make a claim of odor control, that antimicrobial must be registered with the EPA before you can sell treated articles in the United States. Bac-Shield is a Chitosan antimicrobial that is EPA registered for use for odor control on textiles and surfaces. Bac-Shield is registered under the Treated Articles Exemption, which applies to products whose sole purpose is to protect treated articles or substances against contamination as opposed to products that are designed to protect humans directly. Bac-Shield is also registered in all states. it must be EPA number 81446-1. Contact HeiQ ChemTex for guidance regarding the claims you can legally make about articles treated with Bac-Shield. HeiQ ChemTex was established in 1974 as Chem-Tex Chemical Corporation and has been under its current ownership since 1983. We develop and manufacture specialty chemicals for the carpet, textiles, paper, coated fabrics, oil field recovery and specialty surfactants industries.